Amazing, over 45 years and I still like insurance, and I am more proud than ever of Streeter Brothers, who works here, how we do things and the relationships we have built with our customers, companies, and yes our competitors. 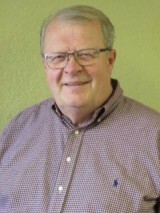 Rich is a lifelong Billings resident and has been with Streeter Brothers since 1972. He received a bachelor's degree from St. Martin's University and taught English at Lewis & Clark; Clark Middle School prior to joining Streeter Brothers Insurance. Rich has served as the President of Insurance Agents of Midland Empire, Independent Insurance Agents of Montana, and Chartered Property Casualty Underwriters of Montana. He has also served on the board of Young Agents of Montana and Independent Insurance Agents; Brokers of America. Rich is a Publications Committee Member of CPCU (National) as well as receiving various other awards and designations. Rich is very active in the Billings Community including having served as the President of Midland Roundtable, Metra Park Board, and Billings Studio Theater Board. Rich is also a member of Billings Jaycees, Billings Catholic Schools Foundation, Billings Mustangs Board, as well as being a former Young Life Leader. Rich enjoys (but is not necessarily good at) playing golf, hiking, skiing, and cooking.